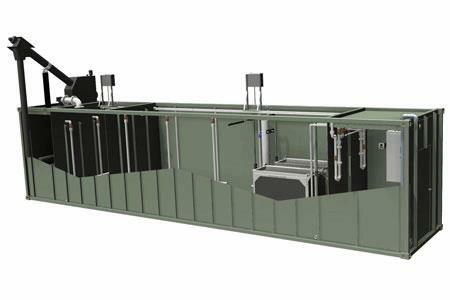 The TITAN MBR QUBE™ is a complete, factory-built, packaged wastewater treatment system featuring a compact design for simple shipping and mobility. Equipped with the same TITAN MBR™ technology that has made S&L an industry leader in pre-engineered treatment systems, the TITAN MBR QUBE™ provides simple, economical and efficient plug and play treatment in a much smaller footprint than conventional treatment systems. The TITAN MBR QUBE™ is a 40-ft long cube shipping container; delivered directly to the job site, minimal assembly required.